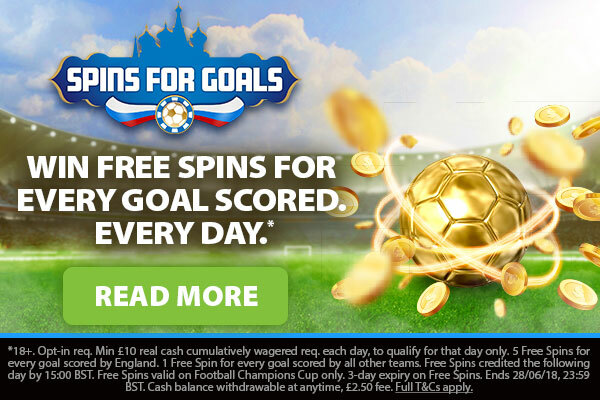 BGO World Cup Spins for Goals Promotion – Get Spins for Goals! Football fever has hit town with the World Cup 2018 in full swing. 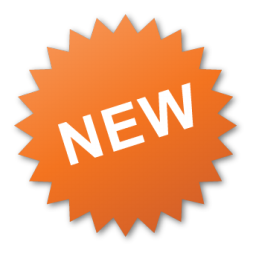 BGO will be running many World Cup 2018 promotions with the first one being their BGO World Cup Spins for Goals Promotion where players can get bonus spins for goals scored during the group stages of the 2018 World Cup. This promotional offer runs from the 14th of June until 28th of June 2018, 23:59 BST. Log into your BGO Casino account. Players will need to opt-in to take part in this promotion. At least one group stage match is played each day. To participate, players must wager at least £10 on any game. You will receive 5 Spins for each goal scored by England and 1 Spin for each goal scored by any other country. Spins will be credited the next day on the following slot: Football: Champions Cup. Remember that there are NO wagering requirements on your winnings from your spins! This BGO World Cup Spins for Goals Promotion will run from 14th June, 00:01 BST until 28th June 2018, 23:59 BST. 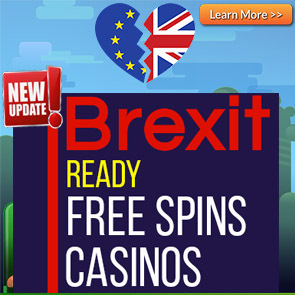 Free Spins will be credited the following day by 15:00 BST. Free Spins can be used on the Football Champions Cup game only. Players must claim the free spins on the same day of being credited. Not yet a member at BGO Casino? Claim your BGO Casino welcome offer right here. NextCasino Wonders of Egypt Promotion – Get great Bonus Spins and a chance to win a Nintendo Switch! 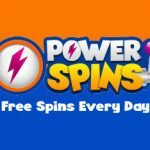 PowerSpins Casino Wager Free Spins BONANZA! Get 1 Wager Free Spin for every £/$/€1. You can get up to 50 Real Cash Free Spins with this deal! 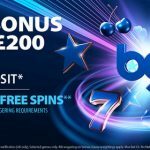 New BGO Welcome Offer 2018 – Get 10 No Deposit Bonus Spins on sign up! Make your Future Bright Again with Casino Cruise’s EXCLUSIVE BIG BONUS & 2018 No Deposit Bonus Spins Offer. Posted in Bgo and tagged june 2018 offers. 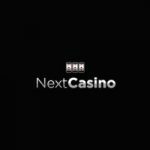 ← NextCasino Wonders of Egypt Promotion – Get great Bonus Spins and a chance to win a Nintendo Switch!